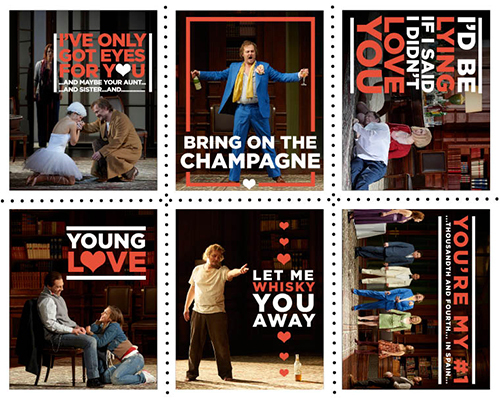 Happy Valentine's Day from the COC! 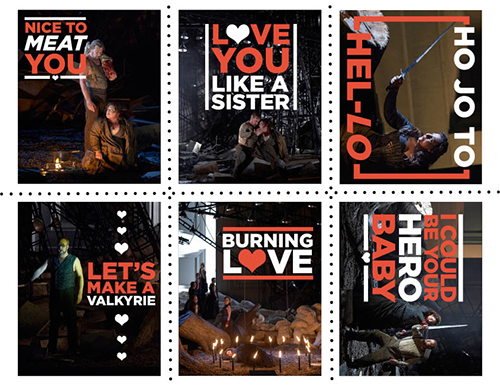 No matter if you love or hate Valentine's Day, we’ve got you covered with productions that celebrate love old and new, weak and strong, punishable by guilt or punishable by the Criminal Code of Canada… ahem. To help you celebrate the love in your life, we’ve created a series of Valentines to share with the ones that you love. Print them out on any sheet of 8.5" x 11" paper double-sided [select “flip lengthwise” (the long edge of a sheet of paper) if available in your printing options when printing double-sided to allow for both sides of the Valentines to line up correctly], cut them out, and share them with the opera lovers in your life today! If you would prefer to send them digitally, check out our Facebook page or Twitter feed for shareable versions. Download the PDF print-at-home versions by clicking here! Find out more about our current productions of Don Giovanni and Die Walküre here.